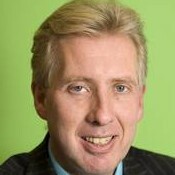 Jan Rotmans is a professor in transitions and transition management at Erasmus University of Rotterdam. He looks upon himself as a socially engaged researcher. He published more than 250 articles and some twenty books, in areas like climate modelling, sustainable development, transitions and system innovations. He co-founded Urgenda, a foundation that supports social transitions and that stimulates many projects of social trendsetters. 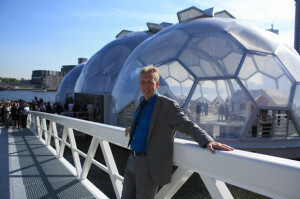 He is now also involved in the biobased economy as Roel Bol, the manager of the biobased economy transition in the Dutch civil service, asked him to be an advisor two years ago. One of the radical projects, promoted as an ‘iconic’ project by Urgenda, is the floating city, that could be an answer to rising sea levels. As a prelude to this, it took the initiative for this floating pavillion in Rotterdam. 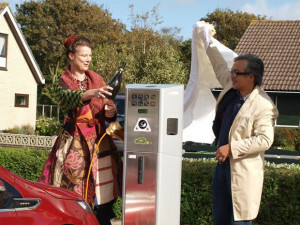 Electric transport, here at the isle of Texel, is another Urgenda iconic project. See how chemical leaders like Archroma are helping to clean up the textile industry with innovation. Our very own James Carnahan (Global Marketing Manager) was interviewed in the making of this article! #Archroma #Innovations #Sustainability #ItsOurNature voguebusiness.com/technology/…?